Walmart has removed products that feature 15 posters of the forced relocation and incarceration of thousands of Japanese Americans during World War II from its website after receiving severe backlash from several Asian American groups and individuals, including the JACL, on Nov. 11. Described as the “perfect Wall Art for any home, bedroom, playroom, classroom, dorm room or office workspace,” the photos depicted scenes from the Japanese American internment, considered one of the largest human rights violations in the history of the U.S.
Walmart offered a full apology for the sale of the pictures and maintained that it was in discussions as to how the pictures were made available on its website. 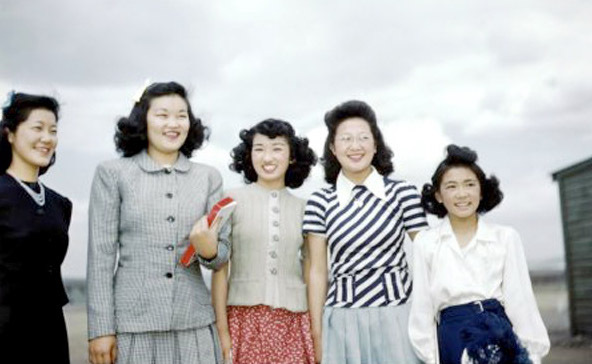 This image of women at the Tule Lake WRA Center was among the camp photos sold on Walmart’s website. JACL immediately objected to the commercialization of the Japanese American incarceration, directly contacting Walmart, Posterazzi.com and Granger Historical Picture Archive.